"Struthof" redirects here. It is not to be confused with Stuthof or Stutthof. Between 1941 and 1944, Alsace was administered by Germany as an integral part of the German Reich. The camp operated from 21 May 1941 and was evacuated early September 1944. Only a small staff of Nazi SS personnel remained until the camp was liberated by the French First Army under the command of the U.S. Sixth Army Group on 23 November 1944. About 52,000 prisoners were estimated to be held there during its time of operation. The prisoners were mainly from the resistance movements in German-occupied territories. It was a labor camp, a transit camp and, as the war went on, a place of execution. Some died from the exertions of their labor and malnutrition. There were an estimated 22,000 deaths at the camp, including its network of subcamps. Many prisoners were moved to other camps; in particular, in 1944 the former head of Auschwitz concentration camp was brought in to evacuate the prisoners of Natzweiler-Struthof to Dachau as the Allied Armies neared. The anatomist August Hirt conducted some of his efforts in making a Jewish skeleton collection at the camp. A documentary movie was made about the 86 named men and women who were killed there for that project. Some of the people responsible for atrocities in this camp were brought to trial after the war ended. Natzweiler-Struthof operated between 21 May 1941 and the beginning of September 1944, when the SS evacuated the camp to Dachau. Its construction was overseen by Hans Hüttig in the spring of 1941. The camp was evacuated and its surviving prisoners sent on a "death march" in early September 1944 with only a small SS unit keeping the camp's operations. The total number of prisoners reached 52,000 over the three years, of 32 nationalities. Inmates originated from various countries, including Poland, the Soviet Union, the Netherlands, France, Germany, modern day Slovenia and Norway. The camp was specially set up for Nacht und Nebel prisoners, in most cases, people of the resistance movements. It was a labor camp and a transit camp, as many prisoners were sent to other Nazi concentration camps before the final evacuation. As the war continued, it became a death camp as well. Some people died from the exertions of the work they had to do, while poorly fed. Deaths are estimated at 22,000 at the main camp and the subcamps. Interned prisoners provided forced labor for the Wehrmacht war industry, through contracts with private industry. This was done mainly at the numerous annex camps, some of which were located in mines or tunnels in order to avoid damage from Allied air raids. Work, hunger, darkness and the lack of health care caused many epidemics; mortality rates could reach 80%. Some worked in quarries, but many worked in the arms industry at various subcamps. Daimler-Benz moved its aircraft engine factory from Berlin to a gypsum mine near the Neckarelz annex camp. The disused autobahn Engelberg Tunnel in Leonberg, near Stuttgart, was used by the Messerschmitt Aircraft Company which eventually employed 3,000 prisoners in forced labor. Another annex camp at Schörzingen was established in February 1944 for extracting crude oil from oil shale. The total number of prisoners at all of the Natzweiler subcamps was estimated to be 19,000 while there was between 7,000 and 8,000 in the main camp at Natzweiler. The camp also held a crematorium and a jury rigged gas chamber outside the main camp, which was not used for mass extermination but for selective extermination, as part of the human experimentation programs, in particular on the problems of fighting a war, like typhus among the troops. Doctors Otto Bickenbach and Helmut Rühl were accused of crimes committed at this camp. Hans Eisele was also stationed in this camp for a time. August Hirt committed suicide in June 1945; his suicide was unknown for many years, and he was tried in absentia in 1953 at Metz for his war crimes, including the Jewish skeleton collection, begun at Auschwitz, continued at Natzweiler-Struthof, and ended, but not completed, at the Reichs University of Strasbourg. Strenuous work, medical experiments, poor nutrition and mistreatment by the SS guards resulted in most of the documented deaths, although some prisoners were executed directly, by hanging, by gunshot or by gas. The female prisoner-population in the camp was small, and only seven SS women served in Natzweiler-Struthof camp (compared to more than 600 SS men) and 15 in the Natzweiler complex of subcamps. The main duty of the female supervisors in Natzweiler was to guard the few women who came to the camp for medical experiments or to be executed. The camp also trained several female guards who went to the Geisenheim and Geislingen subcamps in western Germany. Leo Alexander, the key medical advisor at the Nuremberg trials, stated that some children were murdered at Natzweiler-Struthof for the sole purpose of testing poisons for inconspicuous executions of Nazi officials and prisoners. Such executions of[who?] took place at Bullenhuser Damm. The camp became a war zone in late summer 1944, and was evacuated in early September 1944. Prior to evacuation of the camp, 141 prisoners were shot to death on 31 August - 1 September 1944. The 70th anniversary of this execution of those who resisted Nazi occupation was commemorated at the museum in 2014. Inmates included the Norwegian resisters Per Jacobsen who died there, Tor Njaa en route, the famous footballer Asbjørn Halvorsen, Trygve Bratteli, later the prime minister, Alf Grindrud, Niels-Henrik Kolderup, Arne Brun Lie who later in life moved to the US, Kristian Ottosen, Haakon Sørbye, an engineer, and Hans Cappelen, who survived to write a memoir and testify in the Nuremberg trials. Polish Leon Weintraub was in the camp, age 18, as one of a string of Nazi camps until he escaped from a train to a town in the Black Forest just as the Allied Armies liberated it. In his 50s, Prince Xavier of Bourbon-Parma joined the Belgian Army and was taken in Vichy France as a Nacht und Nebel prisoner, sent here, then to Dachau and then to Niederdorf, from which he was liberated. Four female British SOE agents were executed together on 6 July 1944: Diana Rowden, Vera Leigh, Andrée Borrel and Sonya Olschanezky. Brian Stonehouse and Albert Guérisse (Belgian who escaped to the UK) of the British SOE witnessed the arrival, execution and cremation of the four female SOE agents; both men testified to the executions of the four women in post-war trials, and Stonehouse later sketched them. The two men were sent to Dachau, where they were liberated. Roger Boulanger writes of the four British SOE women executed under the supervision of Dr. Plaza and Dr. Rhode, in his section on Capital Punishment (Les exécutions capitales), as to the intent of the RSHA of Berlin, Reichssicherheitshauptamt, to have them disappear with no trace, as their names were not recorded as being at this camp. The other prisoners pretended not to notice, but as the trials revealed, they did notice. Polish writer Tadeusz Borowski came from Auschwitz and was held here briefly at the Dautmergen subcamp, and then sent to Dachau, where he was liberated. Boris Pahor, a Slovenian man and noted writer born in Trieste, survived his time at this camp, and wrote an autobiographical novel about his experience, Necropolis, now translated into many languages. His main character visits Natzweiler-Struthof, where he was held twenty years earlier, and recalls his experience. Charles Delestraint, leader of the Armée Secrète, was detained at Natzweiler-Struthof, then was executed by the Gestapo in Dachau days before that camp was liberated and the war ended. Henri Gayot a member of the French Resistance who was interned at Struthof between April and September 1944, documented his ordeal in drawings which are now in the Struthof Concentration Camp Museum. General Aubert Frère [fr], founder of the French Organisation de résistance de l'armée (ORA) (Army Resistance Organization) in 1942, died of exhaustion at Natzweiler-Struthof on 13 June 1944. Bishop Gabriel Piguet, the Roman Catholic Bishop of Clermont-Ferrand, was interned at Natzweiler before being transferred to the Priest Barracks of Dachau Concentration Camp. He is honored as a Righteous Among the Nations by Yad Vashem, Israel's Holocaust Memorial for hiding Jewish children in Catholic boarding schools. 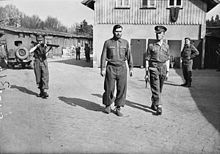 Two British Royal Air Force airmen (Flying Officer Dennis H. Cochran, and Flight Lieutenant Anthony "Tony" R. H. Hayter) who were involved in "The Great Escape" and murdered by the Gestapo after re-capture, were cremated at Natzweiler-Struthof. British bomber Sergeant Frederic Habgood was hanged at this camp, after his plane crashed in Alsace on 27 July 1944 and he was betrayed to the Nazis by a local woman. Two died as a result of the crash, three survived as prisoners of war in a camp in Poland, one returned to England with the help of the resistance, and Mr Habgood was hanged on 31 July 1944. His death was known as a war crime in 1947 and his family was informed, but the most personal evidence of his presence there, a silver bracelet with his name on it, emerged out of the soil in July 2018, as an area with flowers was being watered by a volunteer. In his memoirs titled Moi, Pierre Seel, déporté homosexuel, Pierre Seel, who served a sentence at the neighboring camp of Schirmeck, tells that he took part in the construction of the Struthof concentration camp, in the context of his forced labor tasks. The camp had five commandants and numerous doctors in its history. The Jewish skeleton collection was an attempt by the Nazis to create an anthropological display to showcase the alleged racial inferiority of the "Jewish race" and to emphasize the status of Jews as Untermenschen ("sub-humans"), in contrast to the Germanic Übermenschen ("super-humans") Aryan race which the Nazis considered to be the "Herrenvolk" (master race). The people who were to serve as best examples of the "Jewish race" were selected from people at the Auschwitz camp, then brought to Natzweiler-Struthof both to eat well and then to be murdered by gas, and their corpses brought to the Anatomy Institute of at the Reich University of Strasbourg (Reichsuniversität Straßburg) in the annexed region of Alsace, a project of great scope. Some initial study of the corpses was performed, but the progress of the war stalled completion of the collection. The collection was sanctioned by Reichsführer of the SS Heinrich Himmler, and under the direction of August Hirt with Rudolf Brandt and Wolfram Sievers who was responsible for procuring and preparing the corpses as part of his management of the Ahnenerbe (the National Socialist scientific institute that researched the archaeological and cultural history of the hypothesized Aryan race). In a 2013 documentary by Sonia Rolley and others, two historians remark that "Hirt is one of the most absolutely criminal of National Socialist ideology," adds the historian Yves Ternon. "The project itself, continues Professor Johann Chapoutot, is an example of this investment of politics by science, or science by politics that is Nazism." Josef Kramer, former commandant of Natzweiler-Struthof, in leg irons at Belsen before being removed to the POW cage at Celle, 17 April 1945. In 1943, the inmates selected at Auschwitz were shipped to Natzweiler-Struthof. They spent two weeks eating well in barracks there in Block 13, so they would be good specimens of normal size. The deaths of 86 of these inmates were, in the words of Hirt, "induced" at a jury rigged gassing facility at Natzweiler-Struthof on several days in August and their corpses, 57 men and 29 women, were sent to Strasbourg for study. Natzweiler-Struthof was considered the better place for gassing the selected victims (better than at Auschwitz), as they would die one by one, with no damage to the corpses, and Natzweiler-Struthof was at Hirt's disposal. Josef Kramer, acting commandant of Natzweiler-Struthof (who would become the commandant at Auschwitz and the last commandant of Bergen Belsen) personally carried out the gassing of 80 of these 86 victims at Natzweiler-Struthof. The next part of the process for this "collection" was to bring the corpses to the Reichs University, where Hirt's plan was to make anatomical casts of the bodies. Powerful photos of the corpses as found by the Allies who saw them in the Reichs University make the totality of the strange project quite real, though the intent never justified the project—measurements made under the name of science could not justify the genocide underway. The next step after making the casts was to have been reducing them to skeletons. Neither of those steps, making the casts nor reducing the corpses to skeletons, was carried out. In 1944, with the approach of the Allies, there was concern over the possibility that the corpses could be discovered. In September 1944 Sievers telegrammed Brandt: "The collection can be defleshed and rendered unrecognizable. This, however, would mean that the whole work had been done for nothing-at least in part-and that this singular collection would be lost to science, since it would be impossible to make plaster casts afterwards." And so it was left, as the camp was evacuated in September 1944, and the human remains were left at a room in the Reichs University of Strasbourg. Two anthropologists, who were both members of the SS, Dr. Hans Fleischhacker and Bruno Beger, along with Wolf-Dietrich Wolff, were accused of making selections at Auschwitz of Jewish prisoners for Dr. Hirt's collection of 'racial types', the man who devised the project of the Jewish skeleton collection. Beger was found guilty, although he was credited for pre-trial imprisonment and served no time. Also named as associated with this project are Doctor Karl Wimmer and the anatomist Anton Kiesselbach. August Hirt, who conceived the project, was sentenced to death in absentia at the Military War Crimes Trial at Metz on 23 December 1953. It was unknown at the time that Hirt had shot himself in the head on June 2, 1945 while in hiding in the Black Forest. For many years only a single victim, Menachem Taffel (prisoner no. 107969), a Polish born Jew who had been living in Berlin, was positively identified through the efforts of Serge and Beate Klarsfeld. In 2003 Dr. Hans-Joachim Lang, a German professor at the University of Tübingen succeeded in identifying all the victims, by comparing a list of inmate numbers of the 86 corpses at the Reichs University in Strasbourg, surreptitiously recorded by Hirt's French assistant Henri Henrypierre, with a list of numbers of inmates vaccinated at Auschwitz. The names and biographical information of the victims were published in the book Die Namen der Nummern (The Names of the Numbers). Rachel Gordon and Joachim Zepelin translated the Introduction to the book to English, at the web site where the whole book, including the biographies of the 86 people, is posted in German. Lang recounts in detail the story of how he determined the identities of the 86 victims gassed for Dr. August Hirt's project of the Jewish skeleton collection. Forty-six of these individuals were originally from Thessaloniki, Greece. The 86 were from eight countries in German-occupied Europe: Austria, Netherlands, France, Germany, Greece, Norway, Belgium and Poland. The biographies of all 86 people are described in English on a web site set up by Lang. 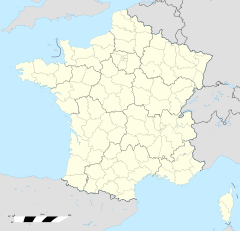 In 1951 the remains of the 86 victims were reinterred in one location in the Cronenbourg-Strasbourg Jewish Cemetery. On 11 December 2005 memorial stones engraved with the names of the 86 victims were placed at the cemetery. One is at the site of the mass grave, the other along the wall of the cemetery. Another plaque honoring the victims was placed outside the Anatomy Institute at Strasbourg's University Hospital. An American soldier in Natzweiler-Struthof examines an urn used to bury the ashes of cremated prisoners. The Monument to the Departed at Natzweiler-Struthof. The first camp commandant, Hans Hüttig, was sentenced to death on 2 July 1954 by a French military court in Metz, but the death sentence was not carried out. In 1956, he was released from detention after being imprisoned for eleven years. Josef Kramer, the former commandant of the camp during the time of the Jewish skeleton collection project, was arrested at Bergen-Belsen concentration camp on 17 April 1945 and tried at Lüneburg in the British-occupied sector for his crimes, including the murder of Jews in the gas chamber at Natzweiler. He was sentenced on 16–17 November 1945 and was hanged at Hamelin prison [de] on 13 December 1945. The commandant of Natzweiler at the time that 4 female resistance agents were executed, Fritz Hartjenstein and five others were tried by a British war crimes court at Wuppertal, from 9 April to 5 May 1946. All of the accused were found guilty; of these, three were sentenced to death and two hanged. Hartjenstein’s death sentence was commuted to life imprisonment on 1 June 1946. Then he was tried again by the British for hanging a POW who was a member of the Royal Air Force. Hartjenstein was sentenced to death by firing squad on 5 June 1946. The sentence was not carried out, and he was then extradited to France, where he was tried at Metz for his crimes at Natzweiler and sentenced to death. He died of a heart attack while awaiting execution on 20 October 1954. Magnus Wochner was also implicated in the Stalag Luft III murders and was listed among the accused.Heinrich Ganninger, adjutant and deputy of commander Fritz Hartjenstein, committed suicide in Wuppertal prison in April 1946 before his trial. He was accused of having murdered four British female spies. Heinrich Schwarz was tried separately at Rastatt in connection with atrocities committed during his tenure as commandant of Natzweiler-Struthof. He was sentenced to death and subsequently shot by firing squad near Baden-Baden on 20 March 1947. During the night of 12–13 May 1976, neo-Nazis burned the camp museum, with the loss of important artifacts. Structures were rebuilt, placing the artifacts that survived the fire as they were found originally. The reconstructed camp museum was officially opened on 29 June 1980. The European Centre of Deported Resistance Members, a new structure at the site, opened in November 2005, and at the same time, "the museum was entirely redesigned to focus solely on the history of Natzweiler concentration camp and its subcamps." A documentary film was shown in 2014 about the 86 who were murdered in the camp and whose remains were later identified by name, as described above in The Jewish skeleton collection section. The film "The names of the 86" (French: Le nom des 86) was directed by Emmanuel Heyd and Raphael Toledano (Dora Films, 2014, FR). The DVD is in French. DVDs subtitled in English and German are planned for February 2015 release. Another documentary was made about the skeleton project in 2013, titled Au nom de la race et de la science, Strasbourg 1941-1944 (English: In the name of Race and Science, Strasbourg 1941–1945). Its goal was to explain what happened at Reich University of Strasbourg, at Natzweiler-Struthof, in the strange use of science in this Nazi project to eliminate the Jews, but keeping some remains for history and science, the project never fully completed, and still shocking in the 21st century. ^ a b "The deportees of KL-Na". Struthof - the Site of the former Natzweiler concentration camp. Centre européen du résistant déporté. Retrieved September 15, 2015. ^ a b c "Introduction to the history of the camp | STRUTHOF". Struthof.fr. Retrieved 2013-01-10. ^ a b "Natzweiler-Struthoff Concentration Camp". Holocaust Education & Archive Research Team. Retrieved September 20, 2015. ^ a b c Buonasorte, Alvezio (September 1, 2014). "Struthof: Commémoration des exécutions de 141 résistants" [Commemoration of the executions of 141 resistance fighters at Struthof] (in French). Natzwiler, France: l'Alsace. Retrieved June 18, 2015. ^ a b "Struthof: Some data". Centre européen du résistant déporté. Retrieved October 14, 2015. ^ a b "KL-Natzweiler annex camps 1942-1945". Struthof - the Site of the former Natzweiler concentration camp. Centre européen du résistant déporté. Retrieved 20 September 2015. ^ Alexander, Leo (1948). "War Crimes and Their Motivation: The SocioPsychological Structure of the SS and the Criminalization of a Society". Journal of Criminal Law and Criminology. 39 (3): 326. As a means of further camouflage so that the SS at large would not suspect the purpose of these experiments, the preliminary tests for the efficacy of this method were performed exclusively on children imprisoned in the Natzweiler concentration camp. ^ Charlesworth, Lorie (Winter 2006). "2 SAS Regiments, War Crimes Investigations, and British Intelligence: Intelligence Officers and the Natzweiler Trial". The Journal of Intelligence History. 6 (2): 13–60. ^ a b Law Reports of Trials of War Criminals, Vol. V (1948). Case No. 31. Trial Of Werner Rohde And Eight Others, British Military Court, Wuppertal, Germany, 29th May-1st June, 1946, (PDF). London, UK: The United Nations War Crimes Commission. p. 54. ^ "The historical sources: the drawings". Struthof - the Site of the former Natzweiler concentration camp. Centre européen du résistant déporté. Retrieved September 20, 2015. ^ "The Righteous Among The Nations". YadVashem.org. Retrieved 20 September 2015. ^ The United Nations War Crimes Commission (1949). Law Reports of Trials of War Criminals, vol. XI (PDF). London, UK: His Majesty's Stationery Office. pp. 41–42. Retrieved 18 September 2015. ^ "Flying Officer (W.Op./Air Gnr.) Dennis Cochran". Find A Grave. Retrieved 18 September 2015. ^ "Flight Lieutenant (Pilot) Anthony Hayter". Find A Grave. Retrieved 18 September 2015. ^ a b Nicholls, Dominic (25 December 2018). "Family of World War Two Lancaster bomber reunited with his bracelet 74 years after it rose to surface of concentration camp ash pit". The Telegraph. Retrieved 6 January 2019. ^ Seel, Pierre (1 April 1994). Moi, Pierre Seel, déporté homosexuel (English translation: I, Pierre Seel, deported homosexual) (in French). Calmann-Lévy. ISBN 978-2702122778. Retrieved 6 September 2016. ^ MacLean, French L. (1999). The camp men: the SS officers who ran the Nazi concentration camp system. Atglen, PA: Schiffer Publishing, Ltd. ISBN 0764306367. ^ "KZ-Katzweiler Men". Axis History Forum. Retrieved 19 September 2015. ^ a b c d Bernas, Anne (October 24, 2014). "Un documentaire sur un crime nazi méconnu primé à Waterloo" [A documentary about a misunderstood Nazi crime winning at Waterloo] (in French). RFI les voix du monde. Retrieved March 8, 2016. ^ "Josef Kramer". Law Reports of Trials of·War Criminals: The Belsen Trial, (pdf). II. London: The United Nations War Crimes Commission. 1947. pp. 39–40. Retrieved 15 October 2015. Under cross-examination he admitted having gassed 80 prisoners previously at Natzweiller camp. ^ "Kramer Persists in Denying Guilt". The New York Times (Vol. XCV, No. 32, 036). The New York Times Company. 10 October 1945. p. 8. Retrieved 19 September 2015. (Subscription required (help)). ^ Rolley, Sonia; Ramonet, Axel and Tancrède (directors) (May 2, 2013). Au nom de la race et de la science 1941-1944 (3/4) [In the name of Race and Science 1941-1944 (3/4)] (documentary) (in French). Alsace, France: Temps Noir. 10 minutes in. Archived from the original on 2017-02-02. Retrieved March 8, 2016. ^ a b Rachel Gordon, translator; Joachim Zepelin, translator (2007). "Die Namen Der Nummern". Berlin. Archived from the original on February 8, 2015. Retrieved 8 February 2015. ^ a b c d Lang, Hans-Joachim (19 August 2004). "Skelette für Straßburg Eines der grausigsten Wissenschaftsverbrechen des "Dritten Reiches" ist endlich aufgeklärt" [Skeletons for Strasbourg: One of the most gruesome crimes of science in the "Third Reich" is finally cleared]. Die Zeit (in German). Retrieved April 3, 2016. ^ Lang, Hans-Joachim (August 31, 2004). Die Namen der Nummern: Wie es gelang, die 86 Opfer eines NS-Verbrechens zu identifizieren [The names of the numbers: How it was possible to identify the 86 victims of a Nazi crime] (in German) (hardback ed.). Hoffmann + Campe Vlg GmbH. ISBN 3-455-09464-3. ^ Lang, Hans-Joachim. "[Victims of medical research at Natzweiler, from "Die Namen der Nummern: Eine Initiative zur Erinnerung an 86 jüdische Opfer eines Verbrechens von NS-Wissenschaftlern"] (ID: 20733)". US Holocaust Memorial Museum. Retrieved April 3, 2016. ^ Lang, Hans-Joachim. "The Names of the Numbers: In Memoriam of 86 Jewish People who Fell Victim to the Nazi Scientists". Tübingen, Germany. Retrieved April 4, 2016. ^ Lang, Hans-Joachim. "The Names of the Numbers: The Courses of 86 Lives". Tübingen, Germany. Retrieved April 4, 2016. ^ Thompson, David (2002). "Huettig, Hans". A Biographical Dictionary of War Crimes Proceedings, Collaboration Trials and Similar Proceedings Involving France in World War II. Grace Dangberg Foundation, Inc. Archived from the original on March 2, 2010. Retrieved June 19, 2015. ^ a b "The trials". Struthof - the Site of the former Natzweiler concentration camp. Centre européen du résistant déporté. Retrieved 20 September 2015. ^ a b c "Friedrich "Fritz" Hartjenstein". Jewish Virtual Library. Retrieved 18 September 2015. Hartjenstein's postwar fate consisted of many trials. First, he was arrested by the British and sentenced to life imprisonment on June 1, 1946, at Wuppertal for executing four resistance members. Then he was again tried by the British for hanging a POW who was a member of the Royal Air Force and sentenced to death by firing squad on June 5 of that year. He was then extradited to France, where he was tried for his crimes at Natzweiler and sentenced to death. He died of a heart attack while awaiting execution on October 20, 1954. ^ a b c Andrews, Allen (1976). Exemplary Justice. Corgi Books. ISBN 0-552-10800-6. ^ "Nazi War Crimes Trials: Natzweiler Trial". Jewish Virtual Library. Retrieved 18 September 2015. ^ White, Joseph Robert (August 26, 2004). Boyne, Walter J., ed. Even in Auschwitz . . . Humanity Could Prevail:British POWs and Jewish Concentration-Camp Inmates at IG Auschwitz 1943-1945. Today's Best Military Writing: The Finest Articles on the Past, Present, and Future of the U.S. Military (First ed.). Forge Books. p. 179. ISBN 0-7653-0887-8. ^ "The KL-Natzweiler museum". Struthof - the Site of the former Natzweiler concentration camp. Centre européen du résistant déporté. Retrieved 8 February 2015. ^ "Le Nom des 86" [The Names of the 86]. Dora Films. 2014. Retrieved 30 January 2015. ^ "Le Nom des 86, DVD" [The Names of the 86, DVD]. Dora Films. 2014. Retrieved 30 January 2015. Steegmann, Robert (2005). Struthof : le KL-Natzweiler et ses kommandos : une nébuleuse concentrationnaire des deux côtés du Rhin ; 1941-1945 (in French). Strasbourg: Nuée Bleue. ISBN 2-7165-0632-9. Bakels, Floris (1977). Nacht und Nebel; mijn verhaal uit Duitse gevangenissen en concentratiekampen [Nacht und Nebel; my story in German prisons and concentration camps]. Elsevier. ISBN 90-435-0366-5. Harthoorn, Willem Lodewijk (2007). Verboden te sterven [Forbidden to die]. Van Gruting. ISBN 978-90-75879-37-7. Pahor, Boris (2010) . Necropolis. Champaign, Illinois: Dalkey Archive Press. ISBN 978-1564786111. Piersma, Hinke (2006). Doodstraf op termijn [Death penalty in time]. Walburg Pers. ISBN 90-5730-442-2. Lang, Hans-Joachim, The names of the numbers. How I succeeded in identifying the 86 victims of a NAZI crime. Hoffmann & Campe, Hamburg 2004, ISBN 978-3-455-09464-0. Wikimedia Commons has media related to Natzweiler-Struthof concentration camp.